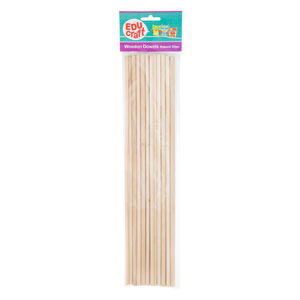 EDUcraft Wood Dowels are great to use in models to add strength and structure. Available in natural wood finish, EDUcraft Wood Dowels can be easily coloured using acrylic paint, ink and glitter. Stick to your projects using water-based glue or a glue gun. EDUcraft Wood Dowels can also be used alone to build sturdy models.